Life is like a cord, as one speaker at his funeral said, some are long, others are short, but what counts is that it carries something. André Tibiri’s cord was short, but it carried so very much. 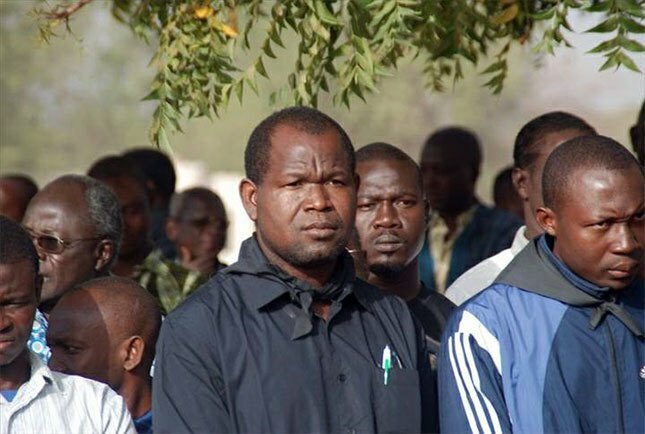 A central figure in the last two decades of social struggles in Burkina Faso, a charismatic leader of the student and youth movements, an honest and dedicated militant for democracy and social justice, André passed away, aged 46, on 24 May 2017. André began his studies at the University of Ouagadougou in the early 1990s, during the first years of the regime of Blaise Compaoré, who became President after the shooting of Thomas Sankara in 1987- a period characterised by the harsh repression of social movements in Burkina Faso, particularly the student movement. The death of Dabo Boukary, one of André’s comrades at the university, marked the starting point of his struggles. Dabo was killed in 1990 after the Presidential Guard had violently put down a student demonstration. André rapidly became a key figure in the student struggle in Ouagadougou, the Burkinabè capital. From 1995 onwards, he was president of the Association Nationale des Étudiants du Burkina (ANEB, National Association of Burkinabè Students), the branch of the Union Générale des Etudiants Burkinabè (UGEB, General Union of Burkinabè Students) at the University of Ouagadougou, and from 1997-2001 he was president of UGEB. In 1996-1997, he led the massive protests to demand greater financial support for students, a wave of mobilization that would eventually lead to the creation of the Aide FONER (Fonds National pour l’Éducation et la Recherche, National Fund for Education and Research), a refundable grant for undergraduate, graduate and doctoral students, which until today, is one of the most important achievements of the student movement. In 1997 André, together with three other activists, was arrested and accused of issuing “death threat[s], willing coups and injuries, and damage of public goods”. He was locked up in the Maison d’Arrêt et de Correction de Ouagadougou (MACO, the main prison of Ouagadougou) for 45 days. This was not the only price he had to pay for his commitments: The granting of his PhD in biology, focusing on the biochemistry of natural substances, was also delayed in response to his activism. Despite such hurdles, André had fond memories of the turbulent times in the late 1990s, which were characterized by great social and political upheaval. Bettina Engels is political scientist at the Department of Political and Social Sciences at Freie Universität Berlin, Germany, www.land-conflicts.net.